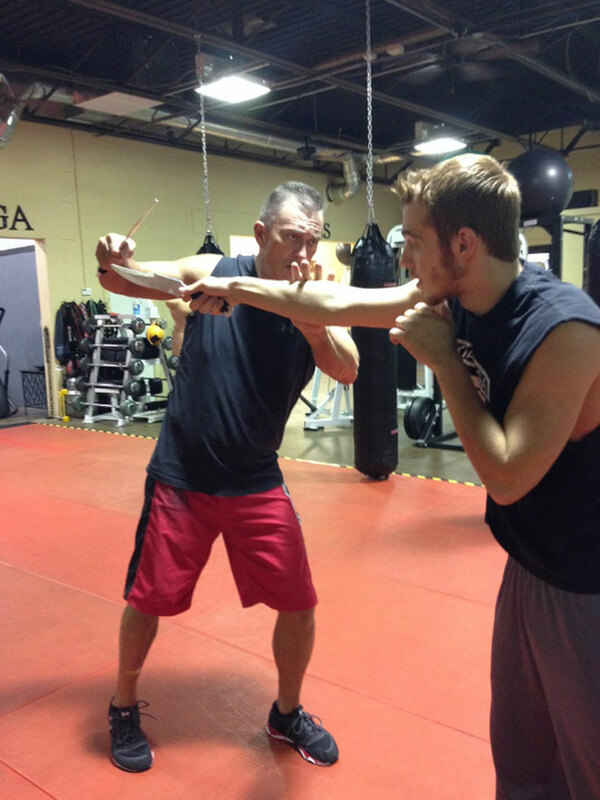 Krav Maga encourages students to avoid confrontation. Krav Maga (krahv muh-GAH) is the official self-defense system for the men and women of the Israeli Defensive Forces and is required training for scores of law enforcement agencies in the United States. Krav Maga is recognized as the most modern, efficient real-life situations for real-life situations, emphasizing practical defenses against real attacks. Thousands of civilians nationwide and many celebrities on the screens in Hollywood now embrace the system. Students apply the relevant Krav Maga principles and techniques in a multitude of situations, even in unfamiliar or adverse circumstances, such as dark surroundings; from a sitting or lying position; with limited freedom or movement; or under extreme stress and/ or fatigue. Learning self-defense is not just learning to kick and punch an attacker. Self-defense begins with not thinking of oneself as a victim. Attackers choose their victims the way predators choose their prey. They always go after the weak, isolated, young, or old because they are an easy target. If you look strong, alert, and healthy, you have a much better chance of avoiding an attack. Our expert instructors will teach women the self-confidence and skills required to AVOID BECOMING A VICTIM. Seminars are a great initial exposure to Self Defense. Women must transition into the Co-Ed setting to best prepare them for the defense against a man. Self Defense is not comfortable. It will save your life. Krav Fit builds strength, power, and explosiveness while implementing a change of direction, balance and mental acuity.This program is an excellent tool to prepare you for your self-defense training. Training in Krav Maga is an aerobic workout. Stress Drills are used to simulate real life attacks in a high intensity, fast paced environment. This training provides an excellent workout that improves both cardio conditioning and agility. Students learn confidence in dealing with attacks while getting into shape and building strength.